This cake WAS one of the cakes that I didn’t dare to try making. The process and the long list of ingredients put me off, not to mention that your girl here (Me) do not consume alcohol. I settled for the lighter versions of fruit cake which is almost like a pound cake or a butter cake filled with dried fruit or candied peel. 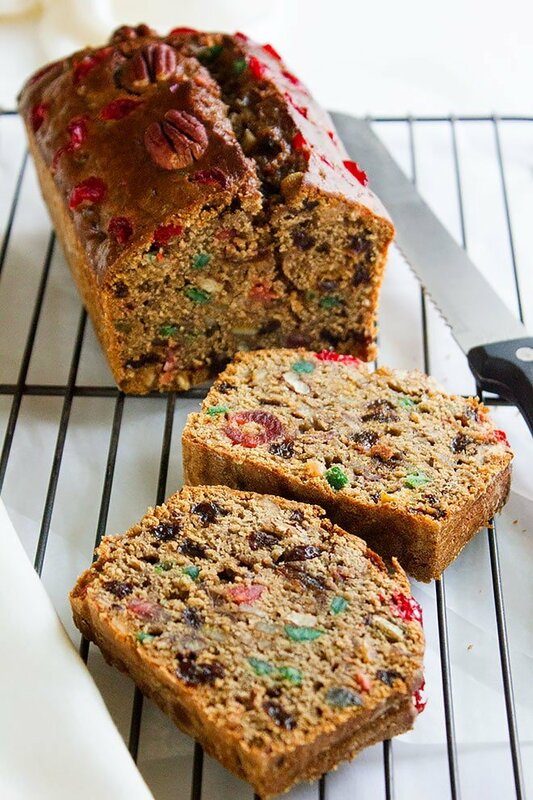 Making a Fruitcake is Fun. 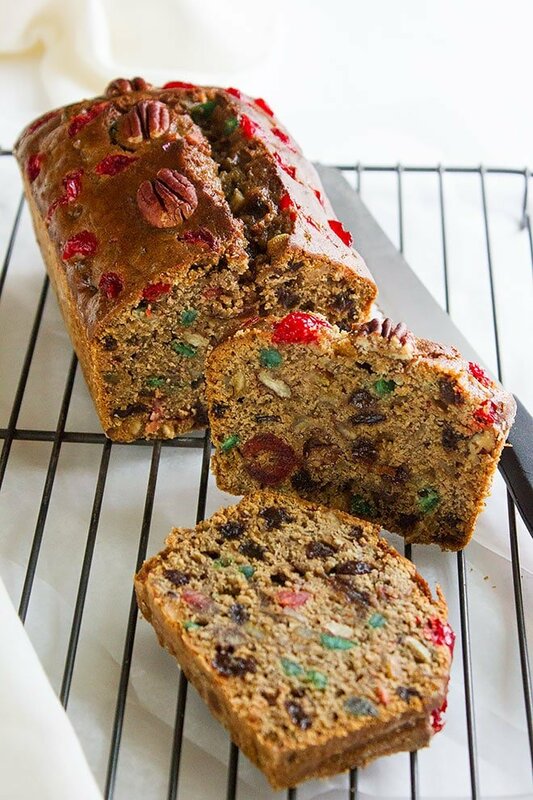 Deep in my heart I always wanted to make a classic fruit cake, the dark color of the cake combined with the colorful candied fruit mix always intrigued me. I had to make this cake no matter what. The challenge was, to make an old fashion moist fruit cake without feeding it which means (without brushing it with alcohol). I went to the kitchen, pulled my sleeves up, got my ingredients ready, baked the cake, and FAILED! 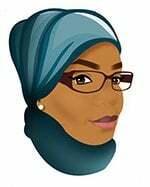 If you’ve been following me for a while, you’ll know that such incident can keep me in the kitchen for a long time, it’s not that I can’t accept failure but I guess it is more of challenging myself and I actually like it, besides, this is how I come up with delicious recipes just for you. 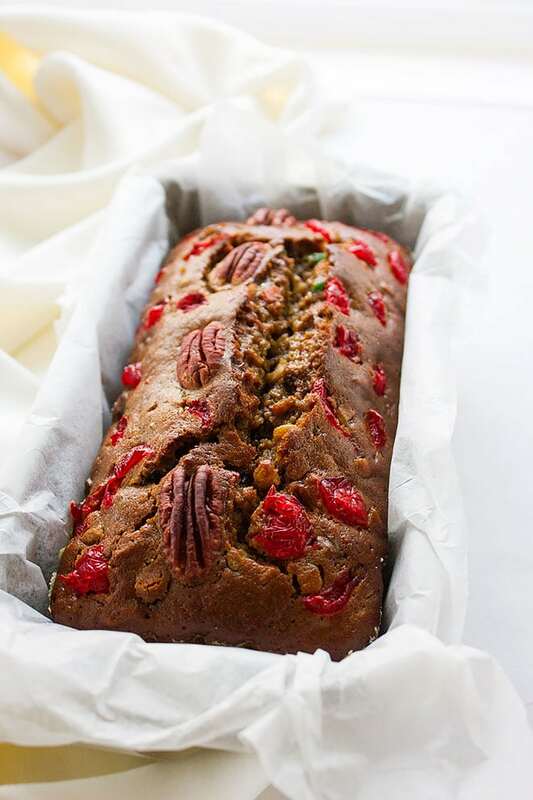 Back to this fruitcake recipe. My later attempt saw the light of success and I’ve also discovered the secret behind a moist, Alcohol-free, delicious, Fruit Cake. 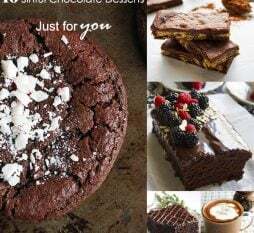 Before sharing the secret, let me tell you that making this cake involves cooking some of the ingredients first. I have boiled some ingredients for a minute or less. It’s whisking the eggs with the warm boiled ingredients. When you whisk the egg with warm liquid, the texture of the egg turns into custard-like and that my friend makes the cake moist. A similar step is used when making soft and silky caramel custard. 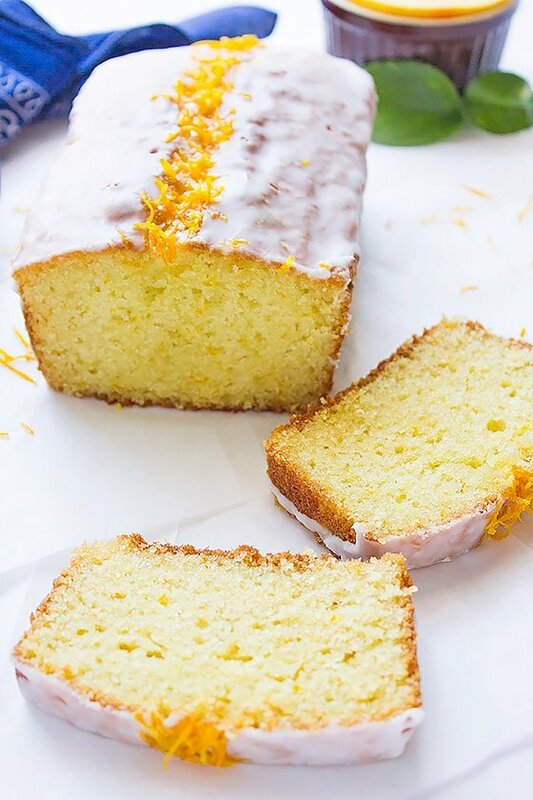 Additional flavor comes from the spice mix used in this cake. You can add more spices if you wish, or even omit spices you’re not fond of, but as always, I would suggest that you try this recipe as is and then adjust it to your liking. I didn’t add orange juice or zest to my fruitcake since the mixed candied peel has a citrusy flavor. I didn’t want to decorate this cake with icing, I think it’s beautiful as is, but if you must use icing, please go ahead. 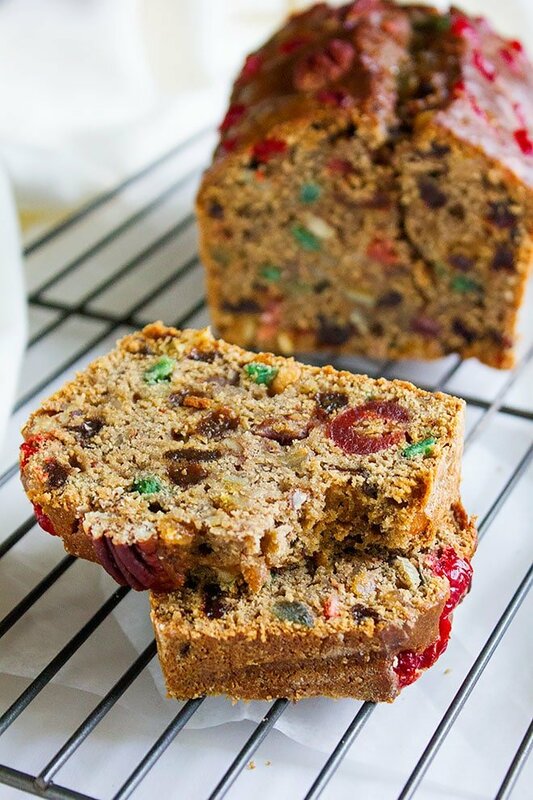 This fruitcake will be more tender and moist the next day, so allow it to rest for a day in an airtight container and enjoy it the next day. If you made this cake I’ll be happy to know how you liked it, and you can do so by leaving a comment in the comment box below! Now, let me show you, how to make a fruit cake from scratch. In a saucepan. Add butter, water, sugar, spices, raisins, and let it come to a boil for one minute. Turn off the heat, add the milk to the mixture and mix well. Keep it aside until warm to the touch. Preheat oven to 350F/180C. line a 9 x 5 x 3-inch loaf pan with parchment paper and keep aside. 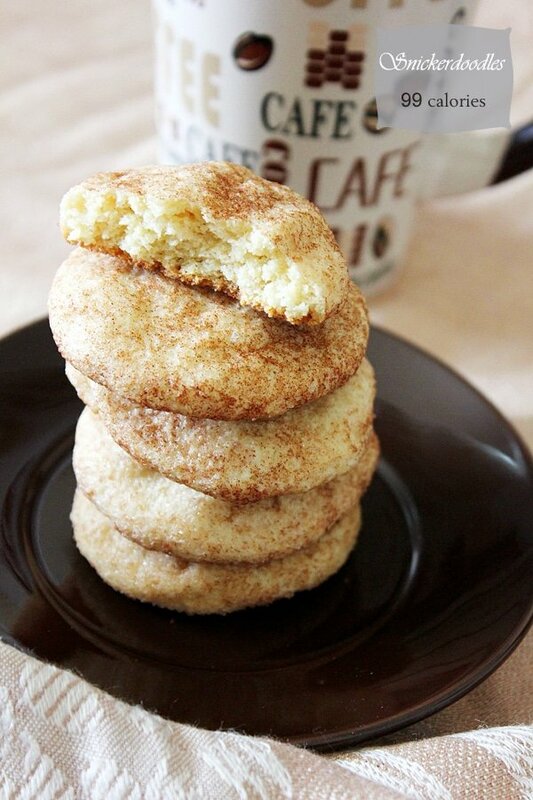 Sift flour with salt and baking powder. Add the candied mixed peel, cherries, nuts, and mix well. Add the vanilla to the butter and milk mixture, beat the eggs and add to the same mixture. Stir until combined then pour over the flour and fold gently. Pour the batter into the baking pan. Using a spatula try to even the surface of the cake batter. You can decorate the surface with nuts. 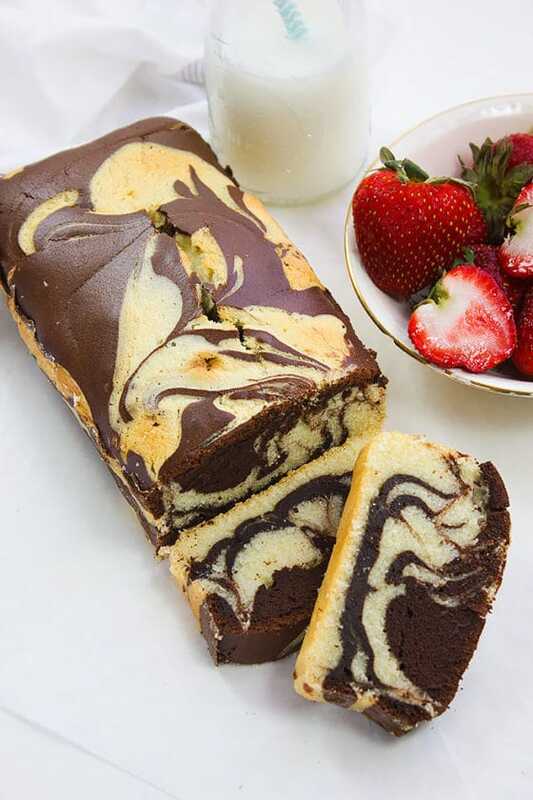 Bake for 45 to 50 minutes or until a skewer inserted in the middle of the cake comes out clean. Place the cake on a cooling rack and allow it to cool completely. 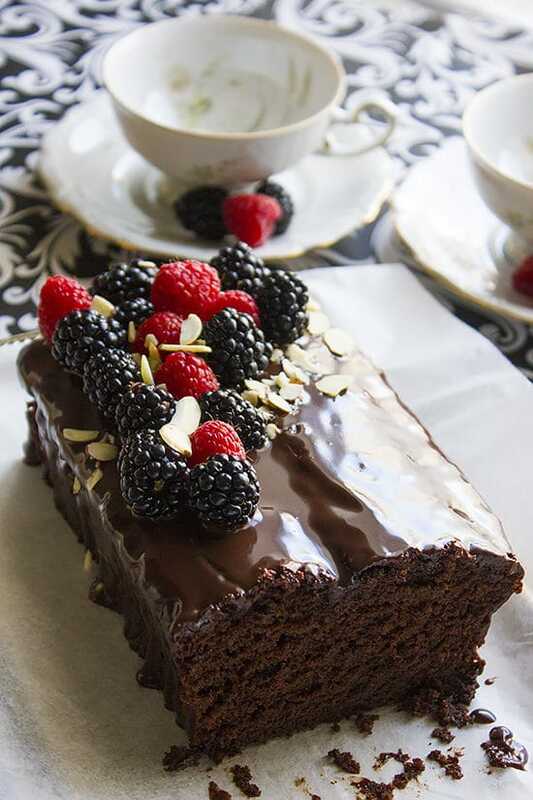 Although you can enjoy this cake the same day, it tastes better and becomes more tender and moist the second day. 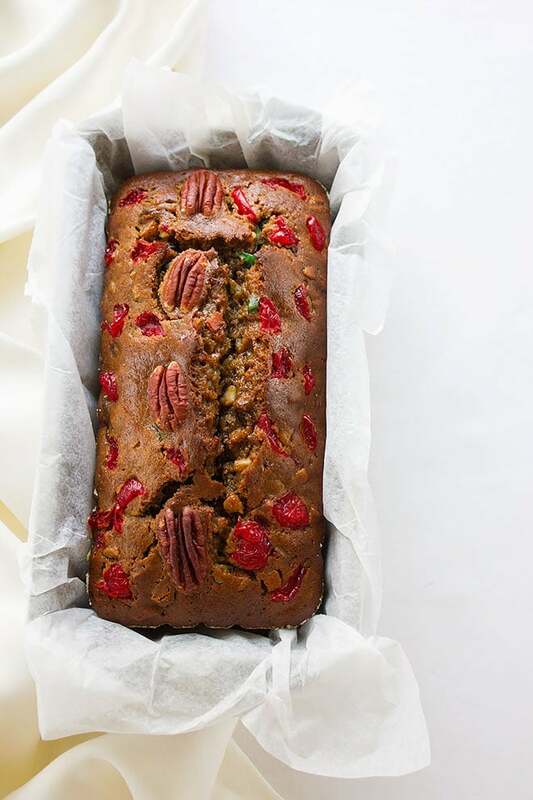 been searching for an alcohol free fruit cake recipe! glad to see this.will try it out by weekend! Hi, Thanks for trying my recipe, I’m glad that you and yours enjoyed it. Unfortunately, I do not consume alcohol and won’t be able to advise you in that. My mom is from Pune. Every Christmas she talks about the lovely fruit cake she used to have back home. This year, I decided to bake her one, but as we don’t consume alcohol, this was the perfect recipe. She was delighted. Thanks.